Derived from the first Sunday after the first full moon of Spring. Based on astrological action. 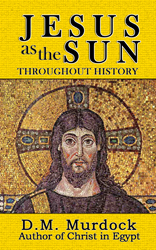 The need to time the Easter celebration – or resurrection – to coincide with the vernal equinox demonstrates that “Christ” is not an historical personage but the sun. This fact of Easter being the resurrection of the Sun has been well known for centuries, just as “the Savior’s” birth at the winter solstice has been recognized as another solar motif. Another obvious clue as to Christ’s nature is the fact that the “Lord’s Day” is Sunday. The principal Mexican solar festival was held at the vernal equinox, i.e., Easter, when sacrifices were made to sustain the sun. In India, the vernal equinox festival is called “Holi” and is especially sacred to the god Krishna. The Phrygian sun and fertility god Attis was annually hung on a tree, dying and rising on March 24th and 25th, an “Easter celebration” that occurred at Rome as well. The March dates were later applied to the Passion and Resurrection of Christ: “Thus,” says Sir Frazer, “the tradition which placed the death of Christ on the twenty-fifth of March was ancient and deeply rooted. 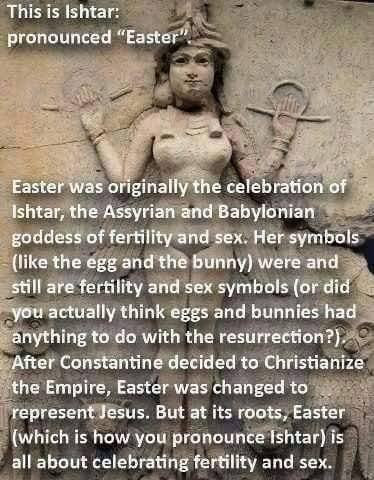 It is all the more remarkable because astronomical considerations prove that it can have had no historical foundation….” This “coincidence” between the deaths and resurrections of Christ and the older Attis was not lost on early Christians, whom it distressed and caused to use the “devil got there first” excuse for the motif’s presence in pre-Christian paganism.